I found this shot over the weekend, and realized when I looked at it a little more closely at home that it may well depict a version of Henry Ford’s first car, something he completed in 1896 and called – in a nod, I assume, to the fact that it used bicycle components for its seat, tires, chain, etc. – the quadricycle. I have since learned that the car in the photo is a Curved Dash Oldsmobile. 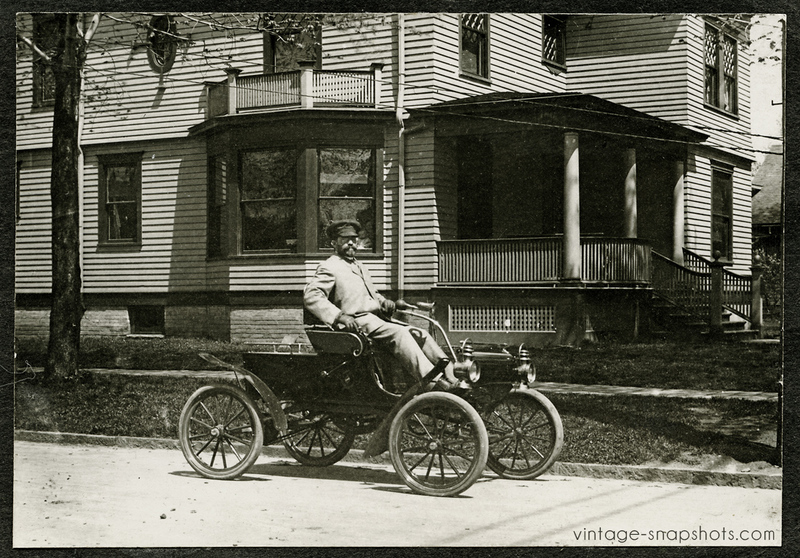 Notable for having been the first mass-produced automobile, it was produced from 1901 to 1907, with something over 19,000 being made in total. 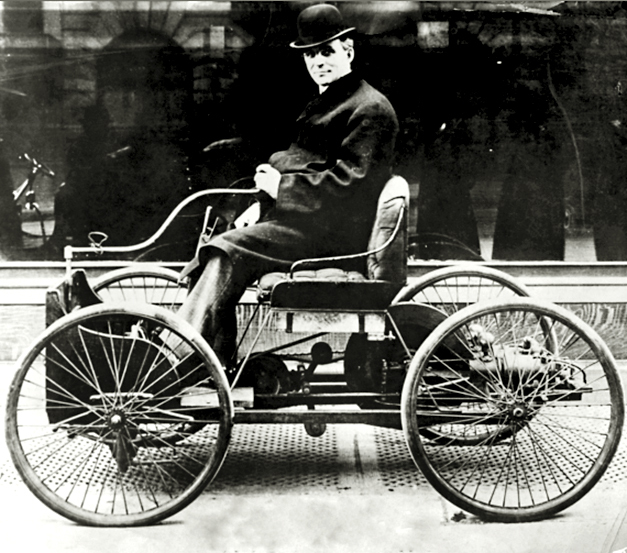 Below is a photo of Henry Ford in a similar, earlier automobile, which had a two-stroke engine and could travel at about 20mph. What I find so great about this photo, however, is not just the car. It is the fact that if you look closely (and I have enlarged the relevant section below) you can see a woman holding a baby up to the window right behind the driver’s head. 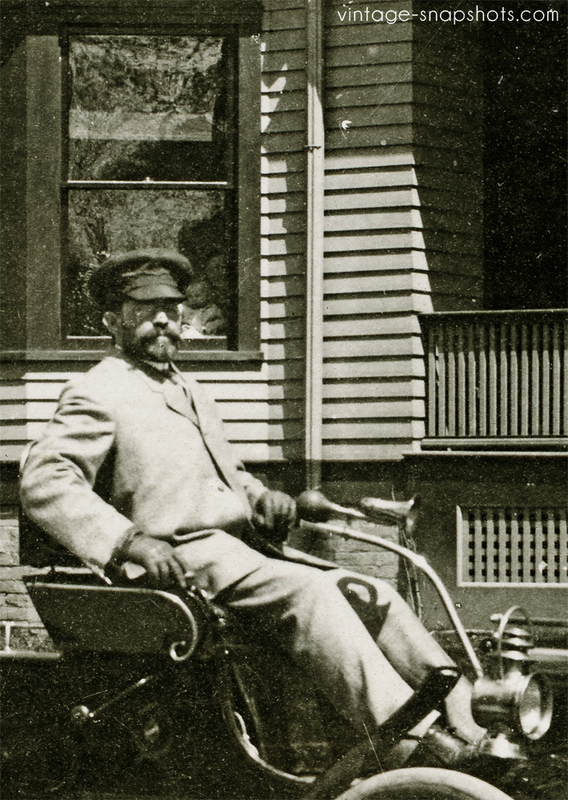 It would possibly have been one of the first times either had seen an actual automobile. What a different world was coming. One in which, among other things, parking would never be so easy again.